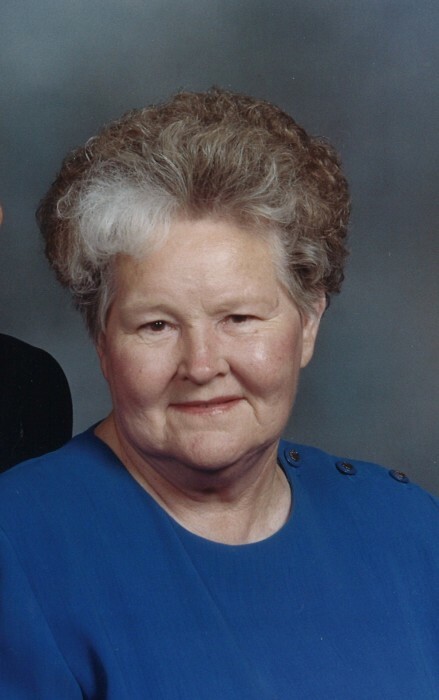 Nobles Funeral Home and Crematory announces the funeral services of Mrs. Jessie Mae Vaughn, age 83, who passed away Sunday, November 25, 2018 at the Pavilion. She was a native and lifelong resident of Appling County. Mrs. Vaughn was a homemaker and a member of Baxley Church of God. She was preceded in death by her daughter, Sherry Vaughn; parents, George Frank and Unity Varnadore Lewis; four brothers and four sisters. She is survived by her husband of 67 years, Artis Vaughn of Baxley; four children, Miles and Gina Vaughn, George Vaughn, Brenda and David Gruber and Julie and Jimmy Carter all of Baxley; eight grandchildren and eleven great grandchildren. Funeral services will be held Tuesday, November 27, 2018 at 2 p.m. from the chapel of Nobles Funeral Home and Crematory with Reverend Lamar Lee, Reverend Andrew Kersey and Reverend Doug Weisel officiating. Interment will follow in the Friendship Congregational Christian Church Cemetery. Visitation will be held one prior to services on Tuesday at the funeral home chapel. Honorary pallbearers will be Young at Heart and Sanctuary Sunday School Class. The family will assemble at the home of Jimmy and Julie Carter at 1486 County Farm Road. Nobles Funeral Home and Crematory is honored to serve the family of Mrs. Jessie Mae Vaughn.